Alasdair MacIntyre's recent thinking both about the concept of a practice and the existence of narrative unity in human life raises important questions about how we should view clinical medicine today. Is it possible for clinical medicine to pursue patient well-being in a society (allegedly) afflicted with what he calls ‘modernity’? Here it is argued that MacIntyre's pessimistic view of the individual in contemporary society makes his call for patient autonomy in the clinical setting pointless. 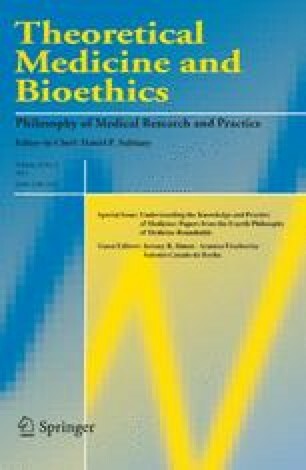 Finally, recent work in gerontology is cited to make three points: first, MacIntyre's pessimism about us is too extreme; second, the concept of a ‘fictionalized’ personal history is closer to reality than either MacIntyre's notion of narrative unity or the ideas of his imagined opponent (Sartre); and finally, we should not expect clinical medicine to produce patient well-being, when this is understood narratively. 1.Department of PhilosophyUniversity of CincinnatiCincinnatiU.S.A.